“Parking rules buried in city land-use codes have surprisingly pernicious effects. Requirements that builders provide ample quotas of off-street parking spaces worsen traffic, multiply collisions, push up housing prices, dampen business profitability, amplify sprawl, and pollute both air and water. Parking rules are a surprisingly potent hidden force shaping — or misshaping — our communities. 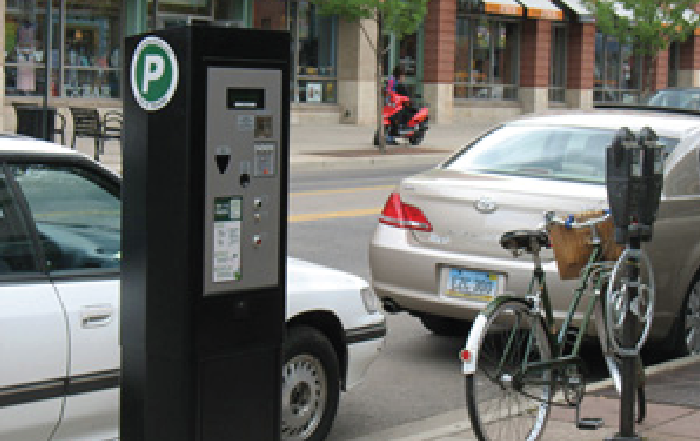 Currently, city code sets minimum parking requirements for all new development, except within the downtown and Boulder Junction parking districts. While developers may sometimes put in more parking than required by code, in many cases code requires more parking than the market would demand. This both makes development more expensive and reduces the total square footage of new development that is allowed, by forcing land to be dedicated to parking. It also spreads uses out, separating them by larghe parking lots, making it harder and less attractive to walk or bike in these areas. In other cities that have eliminated or reduced minimum parking requirements, the amount of off-street parking constructed has gone down, indicating that the code required more parking than the market was demanding. For instance, when Seattle reduced off street parking requirements for multifamily housing, the average number of spaces/unit dropped from 1.3 to 0.8 This allowed more housing to be provided, at lower cost. One reform Boulder could make is to reduce or eliminate off-street parking requirements for new residential development.